To begin with - if you get a choice - choose the largest, healthiest specimen that you can find, discarding anything that is showing signs of disease. 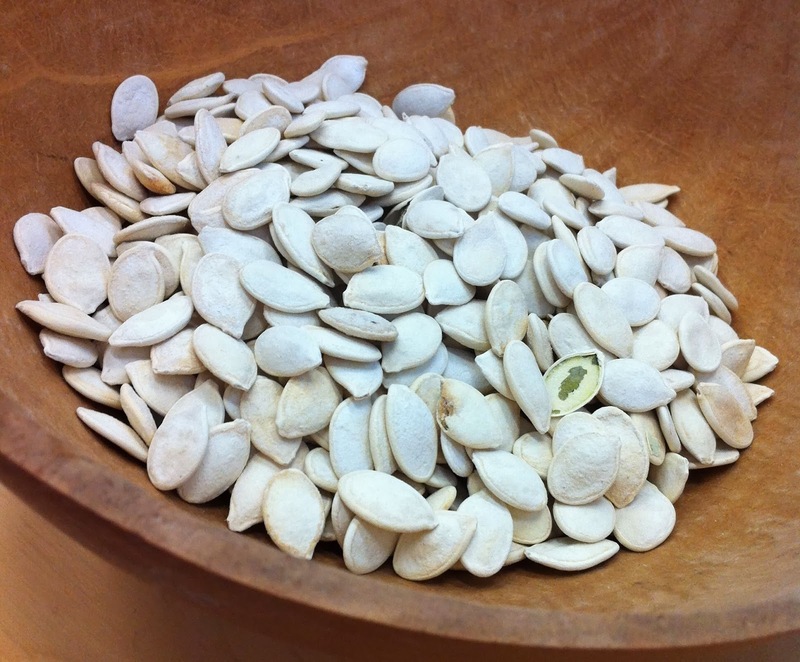 When it comes to harvesting the pumpkin seeds you must wait until the fruit is ripe and ready for eating. To be on the safe side leave them indoors on a warm windowsill for day or two so that the seeds can develop further. 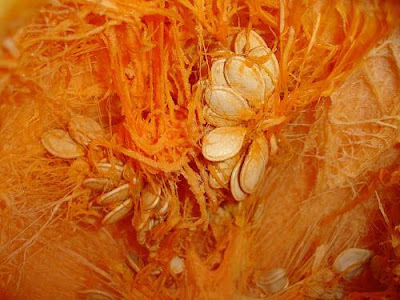 Once you are happy that the pumpkin is ready, cut it open, scoop the seeds out into a sieve and then rinse them under a running cold tap. This will wash off most of the fibrous, jelly like coating which covers them and helps to prevent germination while they are still in the fruit. Once clear of the fibrous jelly, spread the seeds out onto a china plate to dry, then after a couple of days turn them over. Allow them to dry thoroughly - although this can a few weeks - but it is important to be sure because you do not want the seed rotting while they are in storage. Once properly dry, store in an air tight container and place in a cool dark place where they can remain viable for up to five years. Max Ronnersjö file is licensed under the Creative Commons Attribution-Share Alike 3.0 Unported license.